There is an opportunity to make an impact - to make a difference. There is a way awareness raising can be increased, and a special call-to-action amplified. Often, it is the women working in specific contexts, who spot an innovative way to reach deep into communities or far into mass crowds - to galvanize and motivate them to take action for a positive cause. 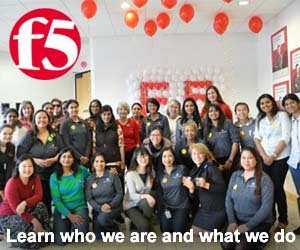 Back in 2017, the world was asked to #BeBoldforChange and one woman working in her high-energy fast-paced career decided that she wanted to make a strong impact. She wanted to put her call out in lights for others to be more inclusive, for others to help drive gender parity. She wanted to forge womens equality in a highly visible and innovative way. In 2018, she wanted to #PressforProgress and again motivate others to help accelerate gender parity. So what did she do? She, along with her impressive women's network - Security Traders Association of New York, Women in Finance (STANY WIF) sponsored by the groups including NYSE, Nasdaq, Goldman Sachs, Bank of America Merril Lynch and more - decided to literally light up the sky. Spires of Purple would get the people of New York talking. Spires of Purple - the International Women's Day color that dates back to the days of women's suffrage - would help raise awareness about the need for greater equality. So who is this pioneering woman? 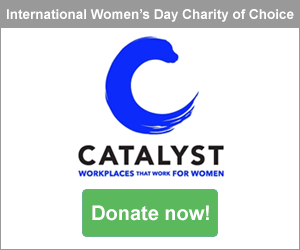 STANY WIF Committee member and Award Winning Hedge Fund Trader, Johanna Rossi, approached the International Women's Day team with her vision - and she also approached the iconic Durst organization who develop, build, own and manage premier office towers and residential buildings across New York. 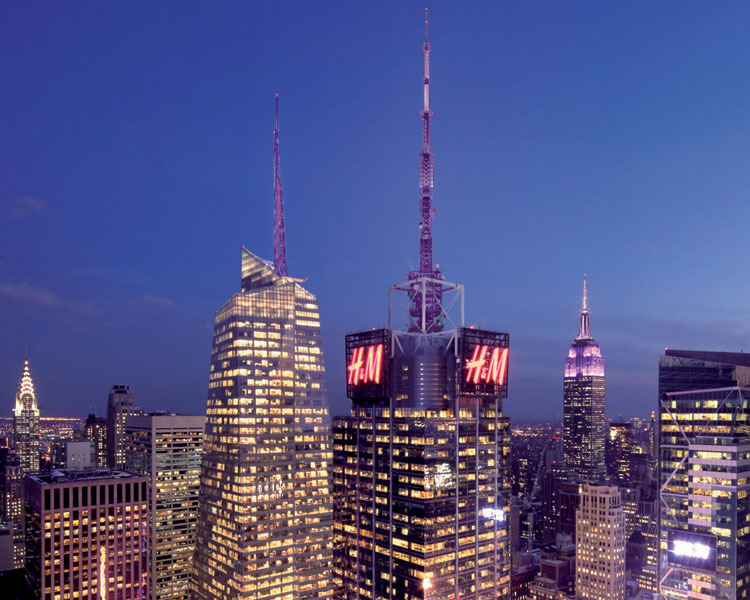 Most recently in the news, Durst announced Nasdaq Inc's relocation from its global headquarters in downtown Manhattan to Durst's impressive Times Square. 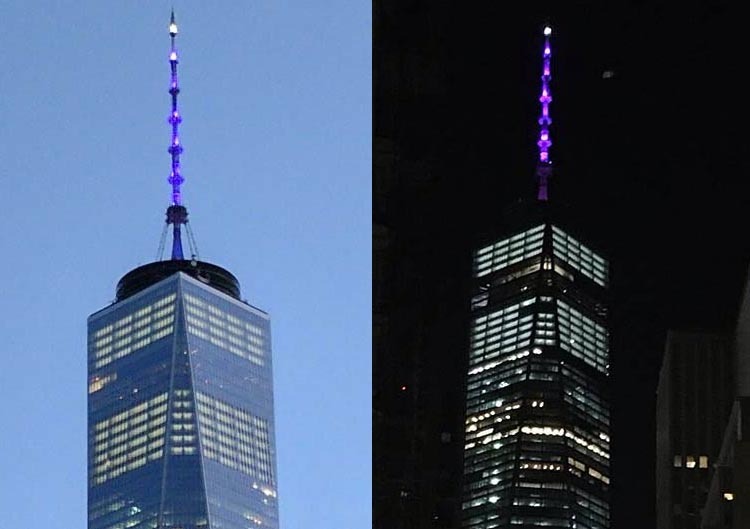 Through a strategic collaboration with International Women's Day in 2017, Durst lit up New York's Number One, One World Trade Center on March 8 to mark International Women's Day and show support. Collaborating closely with the STANY WIF community including Kimberly Unger, CEO & Executive Director of The Security Traders Association, Johanna Rossi succesfully orchestrated a highly impressive and strategic relationship that continues strongly to this day. An impressive woman, Traders Magazine named Johanna Rossi 'Trailblazer of the Year' in their Wall Street Women Awards issue. She also has been awarded the prestigious Women in Finance Markets Choice Award for Excellence in Trading. Her track record in advocacy for women's equality is impressive and she has many achievements to her name. 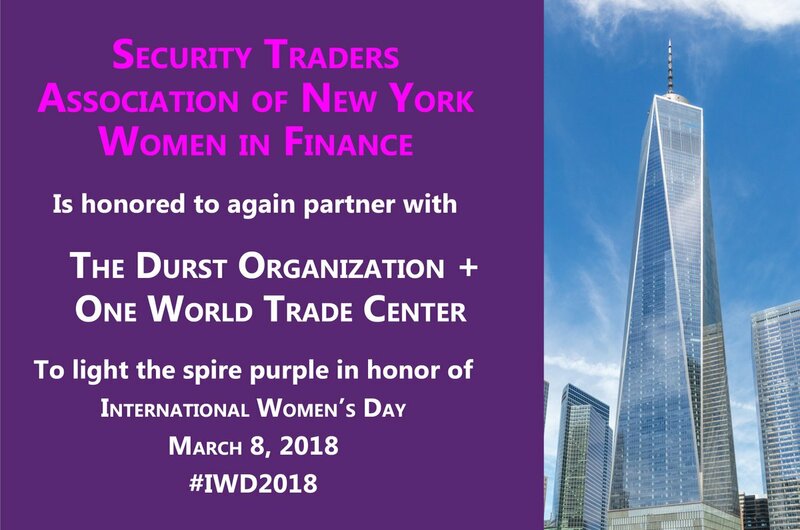 The Security Traders Association of New York Women in Finance (STANY WIF) network organized a fabulous International Womens Day event at One World trade Center with the Durst Organization to celebrate the lighting of the spires recognizing and honoring the achievements of women. The collaboration is pertinent to Durst as its founders, Joseph and Rose Durst, developed the real estate business with a simple philosophy of "leaving each place better than you found it.” Working for greater equality for women, certainly fits the mantra. So if you were in New York on March 8, maybe you looked up. And, importantly, cotinue to embrace the cause and #PressforProgress for women's equality. Each of us, everywhere can take tangible action to help accelerate gender parity. Remember, you can commit to action right now - just #PressforProgress here.